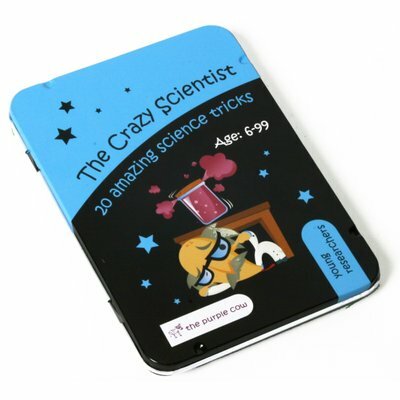 The Crazy Scientist - 20 amazing science tricks. The Crazy Scientist series was created by a joint venture of 2 crazy scientists and the purple cow. The Crazy Scientist spent over 10 years enriching kids with the love of science and for this set - chose the most amazing tricks ever!